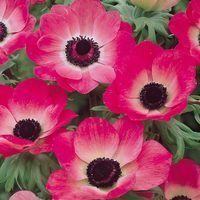 Bring this interesting yet versatile South African flower to your garden this summer! 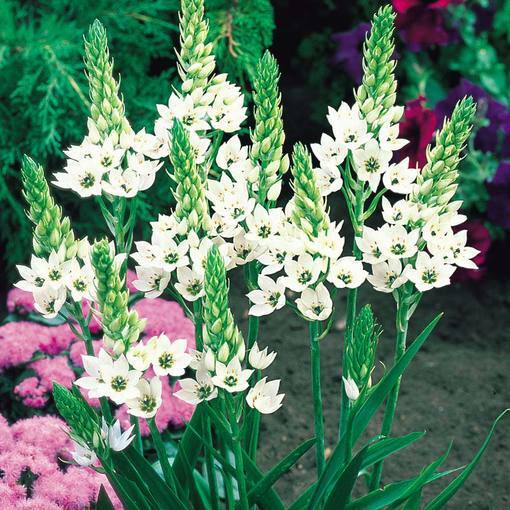 Tall elegant stems with clusters of pure white cup shaped flowers make for a delightful addition to colourful borders that need breaking up. Narrow straps of bendy yellow-green foliage reach up from the base and curl over, imitating grasses that originate on the plains of Africa. The yellow-green creates a contrasting backdrop for the soft white flower heads. Up to 30 delicate florets can grow on one spike. Chincherinchees can last in a vase for up to a remarkable 14 days, but sadly do not last more than 1.5 months in the garden. 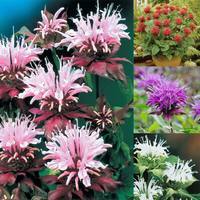 However these sweet little blooms are such good value, and often surpass the expectations of our customers, so why not give them a chance? 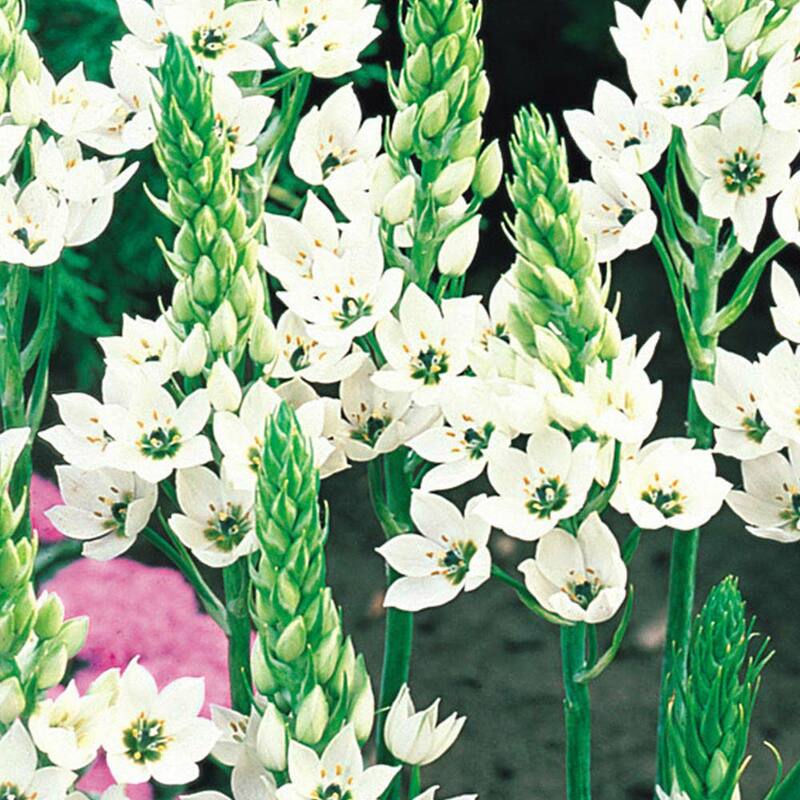 We recommend planting Chincherinchees in front of the Cape Hyacinth, with a colourful mixed bunch of rare-looking Calla Lilies to act as a centrepiece. Why not bring Alstroemeria into the mix to further enhance your South African patch? 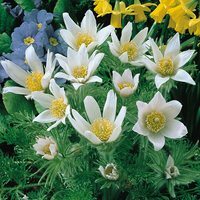 Top quality 5/6cm bulbs supplied. Flowers June to July. Height 45cm. How Supplied 5/6cm bulbs supplied. Planting Plant at approx 8cm deep. Plant at approx 8cm deep. 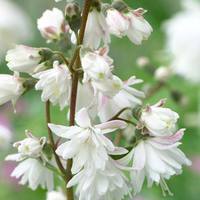 Can be grown in fertile, well drained soil in full sun or partial shade. Plant bulbs at approx 8-10cm deep and water freely once growth begins to appear.